Speaks to Angels- ANGEL kavi has been communicating with the Angels, the Ascended Masters, and the Spiritual Realm from a young agePredictions and guidance to make your future better or to understand your loved one.I do my psychic readings with the help of my spiritual guide named Nina and will always tell you the truth without judging you.I am inviting you to walk the spiritual path with the master reader. Insight through my eyes i will help resolve or repair any relationship.Angel kavi receives and delivers angelic messages from the Angels and Spiritual Realms. 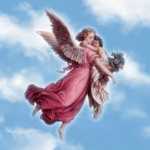 She specializes in Angelic Oracle cards, prayer, and healing to help direct you on your own spiritual path. My Advice is given on all matters and walks of life past, present, future, love, finances etc. I`ve been using the herbal tarot card deck for several years and have given excellent advice to many through out nations was born with an ability and gift that allows me to for see the future and steer you away from negative situations. my gift will amaze and direct you .Do not under estimate the power of a true psychic and tarot reader. My Natural Gifts of Healing Insight, Intuitive Clairvoyant, Clairaudient and Empath to Empower You, Bringing You the Precise Answers and Solutions you are seeking.